Earned a Bachelor of Science degree in Marketing from Penn State University. Prior to joining Vista Realty Partners, Mr. Spillard worked for CB Richard Ellis from 1986 to 2010 specializing in office properties and tenant representation in the suburban Philadelphia marketplace. Earned a Bachelor of Science Degree in Accounting from West Chester University. 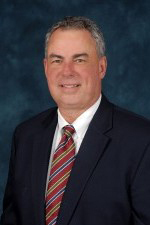 Began his career in public accounting and has been working in commercial real estate since 1985 and as a licensed broker since 1990. Prior to joining Vista Realty Partners, Mr. Duffy was President of Source Realty Group, Inc., a full service real estate brokerage firm. Earned a Bachelor of Arts Degree in Political Science and Economics from The University of Delaware as well as a Law Degree from the University of Richmond. 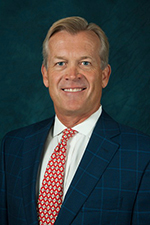 Scott spent 18 years as a manufacturer’s sales representative before entering the commercial real estate business in 2006. 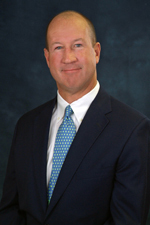 Prior to joining Vista Realty Partners, Scott worked at PRA specializing in tenant representation. 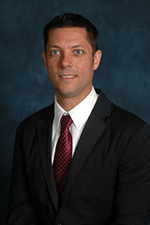 Peter earned a Bachelor’s degree in Accounting from Drexel University. Prior to joining Vista Realty Partners, he spent three years in public accounting with Isdaner & Co. and five years as a Sr. Tax Analyst for De Lange Landen Financial Services, a global asset leasing firm. In addition, Peter co-founded both Empire Capital, LP, a Private Hedge Fund, and Cerberus Investment Holdings, LLC, a Private Investment Partnership, both based out of Downingtown, PA. Prior to joining Vista Realty Partners, Mr. Manidis worked for Sierra US, a full service real estate firm that specialized in restaurant and retail space. Mr. Manidis also served as Vice President of Top Shelf Closet Company, Inc., the premiere closet company in the tri-state area. During his 22 years at Top Shelf he helped grow the company from a small three man operation to a multi-million dollar operation with over 25 employees. 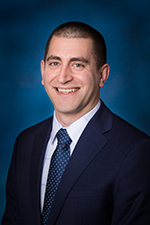 Prior to joining Vista Realty Partners, Ben co-founded REM Innovations Group, a Management Consultant firm based in Malvern, PA. Ben earned a bachelor’s degree in Psychology from Drexel University and New England College. 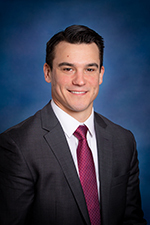 After college, Ben played 4 years of professional hockey and founded Souders Professional Hockey School, LLC. Matt earned a Bachelor of Arts Degree in History from Trinity College while serving as a three-year starter on the varsity football team graduating in 2017. 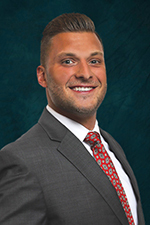 Matt joined Vista Realty Partners in January 2018 specializing in providing corporate real estate solutions to tenants throughout the Philadelphia marketplace. Copyright © 2013 Vista Realty Partners, LLC. All rights reserved.